Continue Link's adventures with Legend of Zelda: The Wind Waker. You'll experience sword-swinging action, perplexing puzzles and stirring storylines. The trouble starts when Link witnesses his sister being snatched up by a giant bird. He then embarks on an epic voyage to locate his sister. Link unravels a mystery that deftly blends unique, stylized graphics and effects with the much-heralded mechanics of the gaming milestone, The Legend of Zelda: Ocarina of Time. This addictive gameplay will keep you glued to your Game Cube until the adventure is done. Case & game were in near mint condition with all original literature! Just like buying a gently used Game Cube game from Game Stop in 2003! Great service Lukie games! Definitely going with you guys again for my classic gaming. I was Skeptical about ordering this but took the chances and risks. 100% Worth it and Real. Tried comparing the disk with other GameCube disks to make sure it’s not a copy. 100% Real. Tested it and it works. If you’re skeptical like I was I really recommend this site for video games. I first want to talk about the customer service for a bit because they hooked me up. When purchasing the game, I didn't see there was a selection to get just the game or the box with the game and ordered just the game. As soon as I realized what I did, I emailed customer service to ask if I could pay the extra bit to get the case added. They gave me the case with no extra charge! Just wanted to brag a bit. The game arrived early and in awesome condition. No scratches on disk, disk works perfectly, case in great shape, and even the manual was in very good shape for a used game. It was great to have the manual too - it was a real trip back in time to see how much effort game makers put into them. Arrived fast and in excellent condition. Very fun game! It arrived in top notch condition! Played perfectly and brought back my nostalgia successfully! Would totally recommend this website. At first, I thought it couldn't be true, but it is 100% real! Was awsome service . was here in great time and in excellent condition . This is the second item I have ever ordered from Lukie Games (the first being Luigi’s mansion). I have been extremely impressed in the condition that these games come in. I’m a bit of a collector nerd, so I got the complete game, case, and booklet, and all arrived in mint condition. I will probably continue to buy games off of here because of the care they take. It really feels like buying a new game, and I appreciate that a lot. 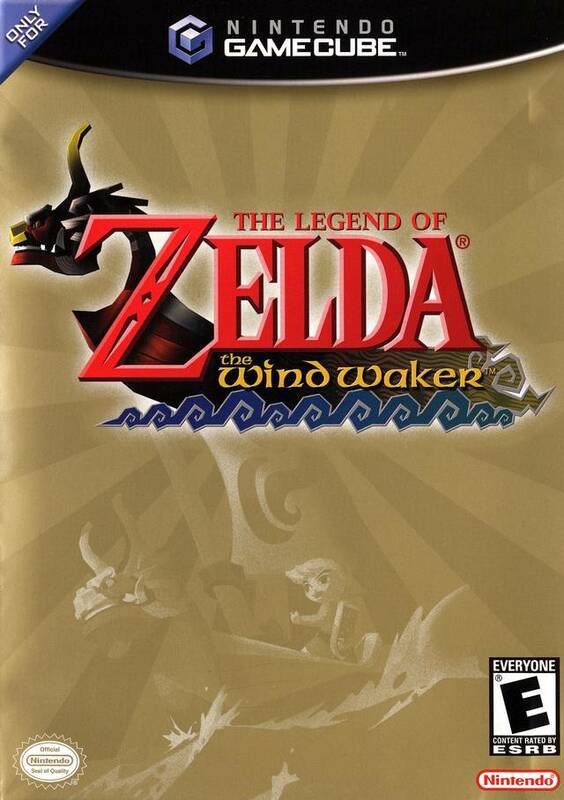 As far as Windwaker goes, it’s one of my favorite games in the Zelda series. If you haven’t played it and you like Zelda games DO IT! It got slighted upon release for the cute graphics, but I gotta admit that this game is packed with charm. The dungeon design may not be the best, but damn, I’ll never get tired of all the cute characters and little quirks of this game. Thank you Lukie and Nintendo! Been playing this timeless gem non-stop since it arrived, and I couldn't be happier. This is not only one of my favorite Zelda games, but one of my all time favorite games period, and was a very big part of my adolescent gaming years. I can't thank Lukie Games enough for this stroll down memory lane! And per usual, the disc is pristine and the case and manual looks good as well. All around great buy! 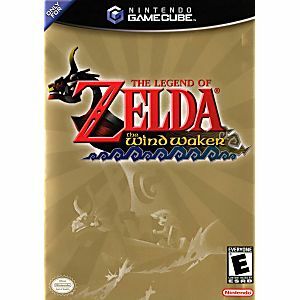 Wind Waker was a game I previously owned then sold it several years ago. I have missed it ever since. Service delivery from Lukie games was very good and the condition of the game disc is in excellent condition! On time delivery, item in good condition. An old favourite, great to play again. I used to play this game when I was a kid. I recently had a ganecube handed down to me, with only two games. I realized I definitely needed more after I had beat luigis mansion several times throughout my lifetime and knew the game inside and out. I asked for this as a birthday gift, it was in absolute perfect condition. Not a scratch, it looked brand new. It hasn't skipped once and im extremely satisfied. Ill be purchasing my gamecube games here for now on, no where else. I was pretty skeptical about ordering from lukie games at first with this being my first online video game purchase. I opted for the free 4-7 day shipping with my order sent in on a friday i received it 7 days later on that following friday. The case came in great condition only two small marks that were barely noticeable and a little bit of grime that came off with a damp paper towel. It came with every insert including the manual 4 pieces in all when it says complete it looks like they mean it! The disc looks as if its brand new maybe one or two small marks. im very happy with lukie games and I will order from them again in the future. The only complaint would be the packaging it was in just an envelope with no bubble wrap or protection i work at a major shipping company and witness first hand how people can handle packages so that worries me if i were to order again. Besides that i give lukie two thumbs up!